What a welcome respite it was! The camping, which was the end-of-year activity by BarkadahaNZ, was loads of fun for the kids and the grown-ups alike. Ten families headed off to El Rancho in Waikanae on the 27th for a 3-day get-together. While I've been to a number of camping trips in the Philippines, this one is quite different from the one I am accustomed to. For one, my past experiences involved hiking long distances to reach the summit of mountains or get to a picturesque camping area before pitching tent. For this one, the camping site is big enough for you to park your car right beside your campsite. And it's far more comfortable too as there are kitchen facilites (stove, oven, ref, freezer, hot and cold water), toilets and hot showers. 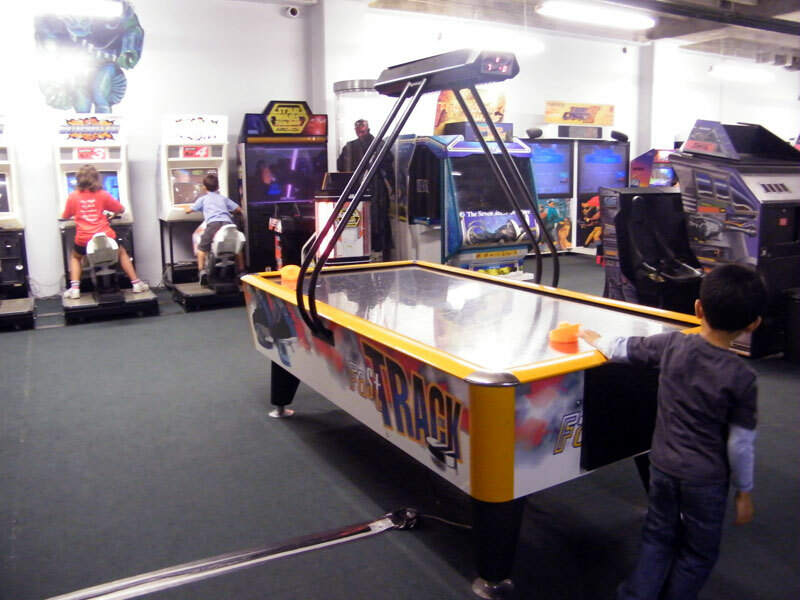 We were even able to use the hall facilities for some of our activities. The staff were also friendly and helpful. These made our stay so enjoyable. So, thank you El Rancho for our wonderful stay! KASAGIP Charitable Trust is appealing for your generosity to support our fellow kababayan Edynell Tecson and his wife Charina. Edynell has been working in a farm as a dairy farm assistant since 2009 and is now assistant herd manager to a share milker. Wife Charina arrived in July 2012 this year. Due to some unforeseen events, Charina became ill and unexpectedly had to undergo surgery. She developed cancer and had to undergo chemotherapy and some other related treatments. As she has only arrived recently she is not yet able to enjoy the benefits of subsidized medical care. The couple has no choice but to shoulder the costs of what was classified as “non-resident” treatment which is more than $30,000 for all the check-up, surgery costs, and radiation therapy she has had. Charina is not able to work at the moment due to her illness. This is where Edynell is really concerned about -- that his wife who should have been here to help find work now needs medical care and attention. I'm sure you've had your fill of the runway fanfare, so here are some photos from the sidelines! 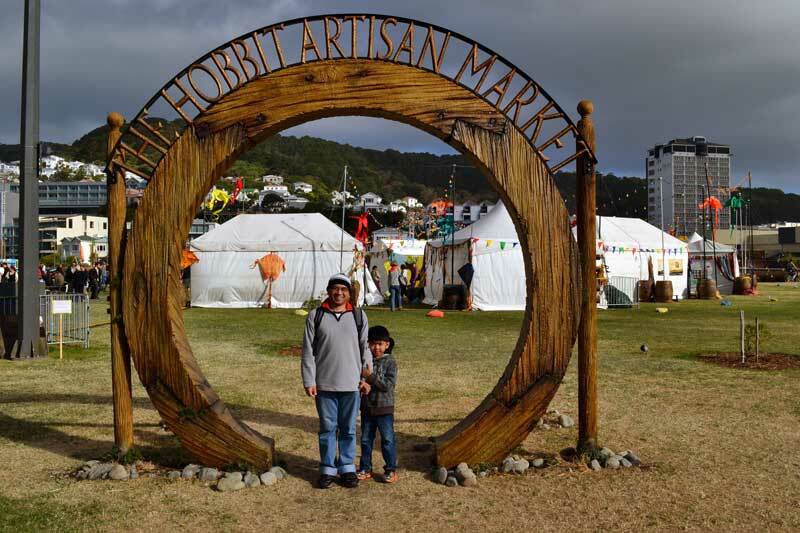 The open-air film showing at the Hobbit Artisan Market reminded me of a time long gone in my hometown of Baguio City in the Philippines. We used to have the best summers there when I was a kid. One of my fondest memories is the open air film showing at Burnham Park's football field. We used to live just across the street, and so we were able to stay out in the park til late - even as kids! Yes, the city was our playground. And the film showing suited us just fine because it would start late, and end really late. We'd bring along mats and blankets and enjoy Popeye the Sailor Man cartoon shorts, followed by the main feature which is either The Sound of Music, Swiss Family Robinson, or a religious film. There was even one time when it got so late that we dozed off under the stars, only to be woken up by our friends' household help at half past 12. Then we groggily left the park where the film was still on. 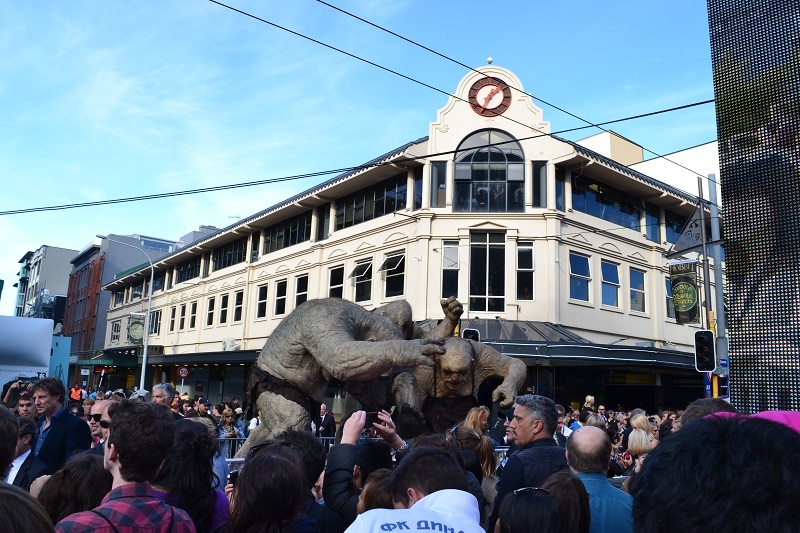 My work commute involves passing through the Embassy Theatre where The Hobbit premiere will take place next week. 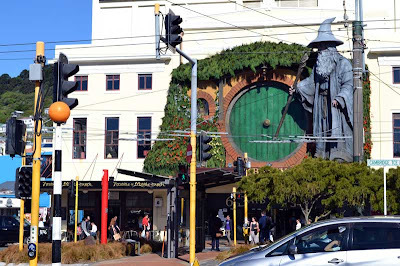 A gigantic Gandalf has been installed over the weekend, in a scene that was to start Bilbo Baggins on his way to an adventure that has captured the imagination of millions of fans the world over. It looks very impressive, and I'm sure next week's big event will be equally huge and spectacular as well. Be part of a world record attempt! Organised by Adventure Wellington, the record is for the most number of sandcastles built in a single hour. 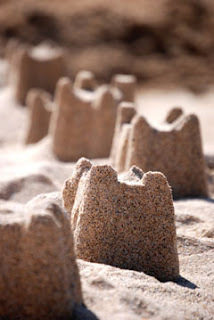 The current the Guinness World Record, which stands at 683 sandcastles and was set in Britain less than two months ago. We don't want to just break this world record, we want to smash it! We want to make sure everyone will know that this title belongs to New Zealand. 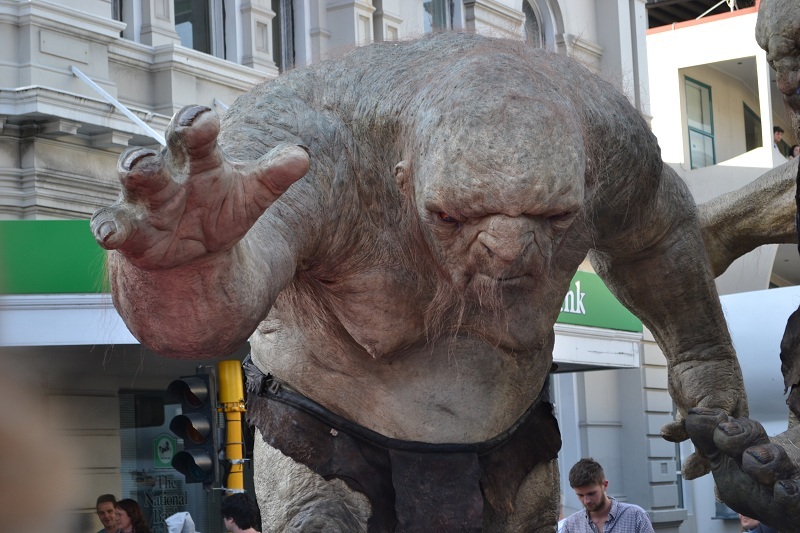 Weta Workshop has designed and produced 100 buckets, which have the regulation four turrets and are about 17cm high. The record attempt will be closely reviewed by independent adjudicators. We immediately realized how perfect this location was for the wind turbine as we braced ourselves against the gale. It's as if Nature particularly liked having the wind turbine here as the strong wind never wavered the whole time were there. 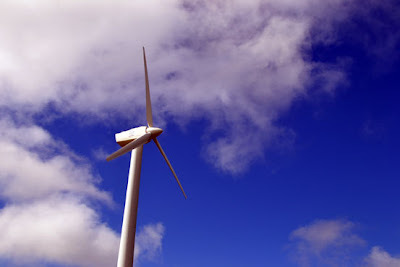 Brooklyn is the site of the first ever wind turbine in Wellington, and was built in 1993. Our friend Darryl was taking some friends along to see some sights and he hadn't been back here for many years and so he wanted drop by as we were in the area, and it was going to be our first time there (Jo-Lo and I) so it was quite an occasion. 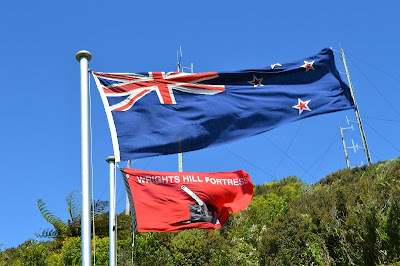 A couple of Mondays back (Labour Day to be precise), we visited the Wrights Hill Fortress located at Karori in Wellington. Open only 4 times a year, it was surely a treat to see this piece of New Zealand war history. The country itself was relatively unharmed as the invading Japanese forces did not make it to these shores, but their presence in Australia was sufficient to mobilize countermeasures should the Japanese ever dare to attack. 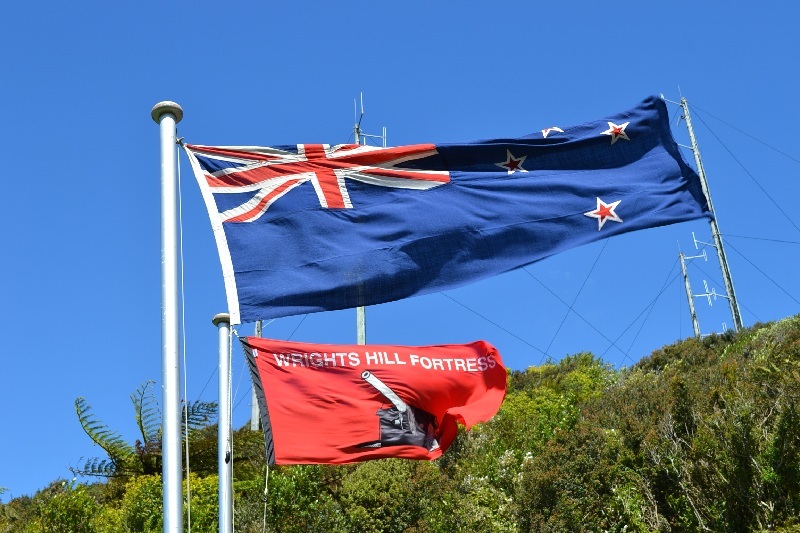 Hence the establishment of the Wrights Hill Fortress. Carved through the hills, a series of tunnels links various storehouses, quarters, rooms with various functions, and gun turrets. 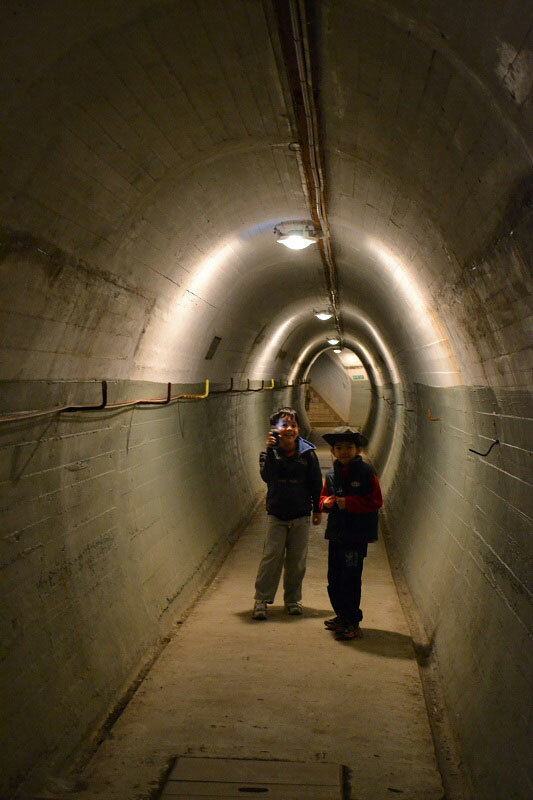 Originally I thought the tunnels would be dark and dank things and we'd be doing an occasional stooping at low-ceilinged areas. 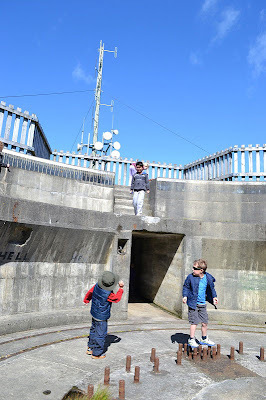 In short, I was expecting something quite claustrophobic (it's the war!). So imagine my surprise in walking through clean, cool, well-ventilated, nicely illuminated tunnels! I was amazed at the dedication of the volunteers maintaining the place. Details of a working-holiday agreement between New Zealand and the Philippines are expected to be announced during the visit to New Zealand of Philippines President Benigno S. Aquino III. It will be the first such agreement the Philippines has had, according to the Ministry of Foreign and Affairs and Trade. Revolution... a step back in TV evolution? I don't normally write about TV shows, but this one got me baffled. Moderate spoiler alert! 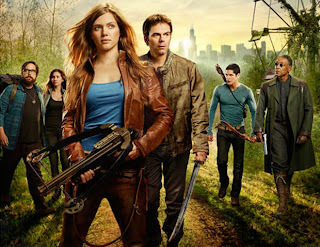 Revolution started airing on New Zealand air last night, with the second episode happening later. The main premise of the story is about the world suddenly losing electricity. 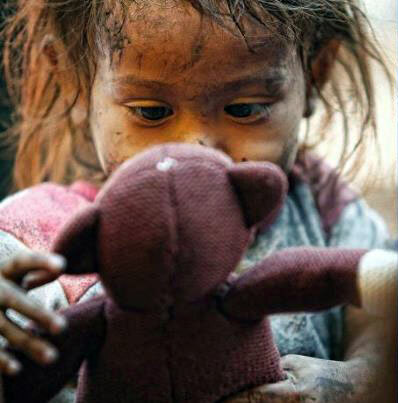 In one fell swoop, cars stopped in the middle of the roads, neighbourhoods turned black as night, planes fell from the sky, hospitals and emergency services collapsed. It was no longer possible to generate and harness electricity. The ensuing months become expectedly chaotic as governments crumbled. People fled the cities and formed small communities in small pockets. Prime Minister John Key will host the President of the Philippines for discussions on two-way trade and other bilateral matters later this month. President Benigno Aquino III will be accompanied by Secretary of Foreign Affairs Albert del Rosario, other members of the President’s Cabinet and a large trade delegation. 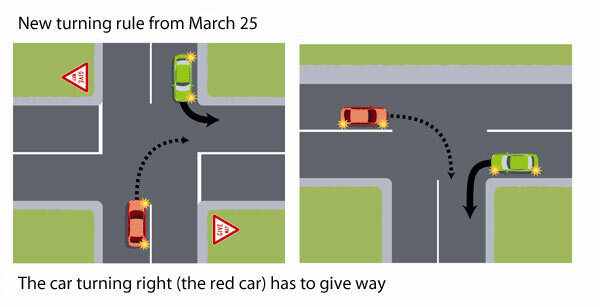 Wellington City Council is hosting a series of community briefings with GNS Science to talk about earthquakes. The briefings are designed to give you and your community a better understanding of the earthquake risk to our city. Awesome video of Wellington! So amazing that I know most of the places depicted here. It's such a compact city, you can get around and discover much about it. Jo-Lo and I found ourselves among friends at the entrance of the Botanic Garden on the night of 20 July. 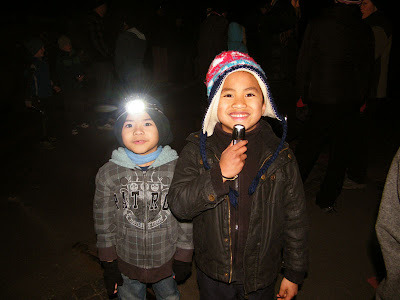 We were there to check out the glow-worms which become prominent at certain times of the year. Spring is the best time to see it apparently, but there's no time like the present! I've never seen glow worms before (and never have my other companions, so we were quite excited about this). I imagined it will be similar to fireflies, only they wouldn't be floating mysteriously about. Do you have good quality kids' stuff you no longer need? Please consider donating these items for the kids at Ulingan. "Wow, has it been 7 years ago already? I can still remember Jo-Lo's celebration in Baguio when he turned 1! ", one of our friends exclaimed when she saw the photo we tagged her in Facebook where Jo-Lo was opening the gift from her. 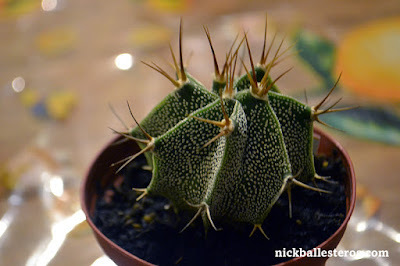 It's a gift that was given to Jo-Lo for his 7th birthday... when he turned 1. On his first birthday, we thought it would be fun if the guests also brought along a small gift which Jo-Lo will open when he turned 7! Why at 7? Because it's a milestone birthday for a Filipino boy (the other birthdays are 1 and 21). And some gamefully wrapped something up, which we stored in an airtight container, to be opened 7 years later. This is Jo-Lo's Time Travelling Gift Box. Who would have thought that not only would it time-travel, but it would cross over to another country as well? 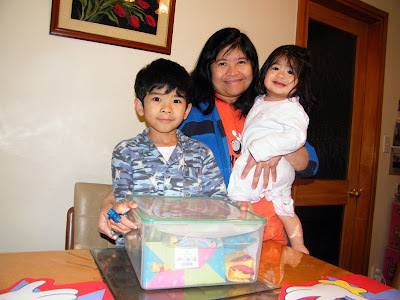 When we visited the Philippines back in 2010, we brought along some stuff back with us here to New Zealand, and the gift box was one of them. We couldn't help but smile and reminisce that this box and its contents are now 7 years old. I was actually thinking that on Jo-Lo's 7th birthday we would ask the guests to bring something again for when he turns 13 (officially a teenager). But who would have thought we'd be celebrating his 7th in another country? I remember how it was like during "my time". In grade school, English was the language of choice, and every Tagalog (now called Filipino) word spoken would cost you 5c. It wasn't as horrible as it sounds, mind you; at times it was even fun as classmates occasionally forget to speak in English and kids attempt to calculate how much needs to be paid, and in their concentration forget the rule and speak in the local language too! I had 6 years of grade school and 4 years of high school. A total of 10 years (+ a year in kindergarten). I started University in 1987. At that year, the constitution was revised and Spanish was abolished as an official language, and was thus stopped from being taught in school. I was among the first batch of students who did not have to study Spanish, and I was relieved because I heard it was a difficult subject. At that time we had fewer letters to memorize from the alphabet (made even easier by Florante's song - below). And even fewer years to graduate and move on to University study. There have been lots of changes since then. For one, the Filipino alphabet expanded to include more letters. And the current school year will now have the K-12 year programme implemented. Picking up from where I left off.... this one covering D - K.
I must admit though, in the 3+ years I have been here, I haven't heard the locals use some of the words here... but most are still in circulation so good as gold! 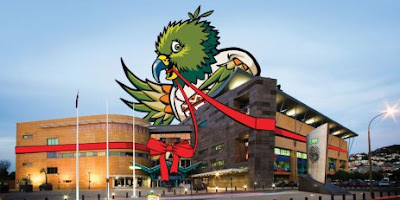 Be Te Papa's 20 millionth visitor and win! During the month of May, we are expecting to reach the milestone of 20 million visitors since opening in 1998. We are so excited that our partners and sponsors want to celebrate this with us, and have put together a great prize package for our 20 millionth visitor. The prize will be presented as they walk through the door, so make sure you come and visit Te Papa during the month of May because it could be you! Somebody asked you to "chuck it in the bin" and you didn't know what to do? Fear not, here's a guide to Kiwi slang! It's quite a long list though so grab a cuppa. The super moon will be visible in New Zealand on Sunday, 06 May 2012 at 5.23pm. The full moon occurs at 3.35 pm but will not be visible until a couple of hours later, at moonrise. I hope we will have high visibility tomorrow! We finally got to watch Avengers last weekend. It is a highly-anticipated movie event ever since the first Iron Man movie came out a couple of years ago. And what was initially a plan to just go out with a friend became a group of 7 guys, so watching the movie became quite an event by itself! One day my son asked me about making and flying a kite. Wow, that was decades ago, back when I was still a kid myself and we flew kites in Burnham Park in Baguio, my hometown in the Philippines. I am familiar with the diamond-shaped kite, but it's been so long I'm not sure if we can make one from scratch and ensure that it flies. Just like we have a Filipino accent, so do the Kiwis. For a while I struggled to understand what they say; I'm getting there. 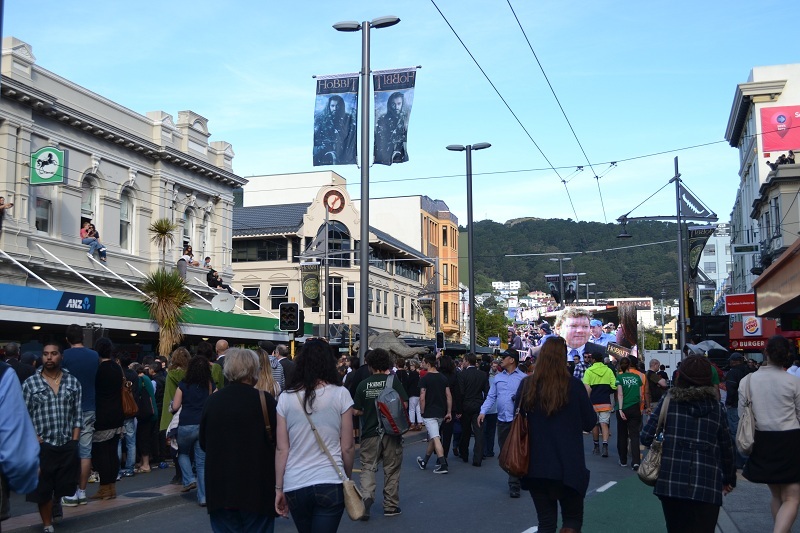 But it's all good, as Wellington is truly a multicultural city and it helps that it is such a friendly community too! (Plus, it's not only me who struggles with the accent). 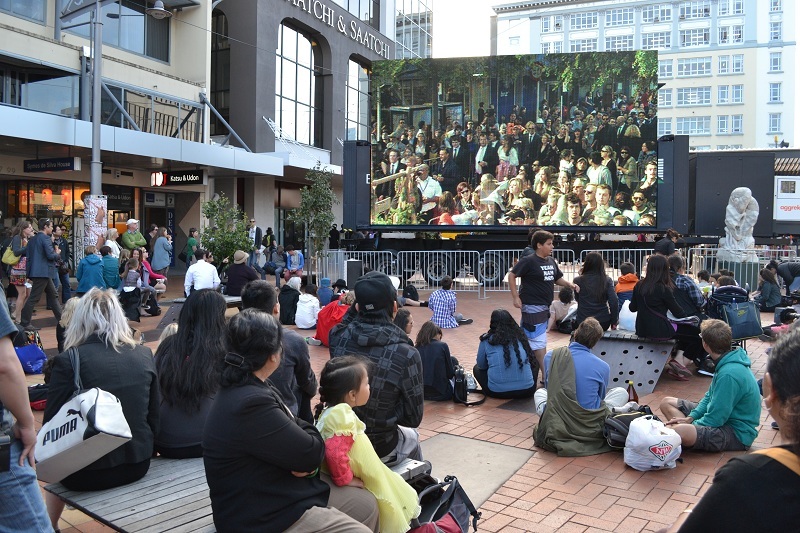 Incidentally, other cultures such as Pacific Islanders and also the Maori lend a unique blend into it all. It makes for such interesting interactions. To illustrate my point, here are some local TV commercials. Caine's Arcade from Nirvan Mullick on Vimeo. 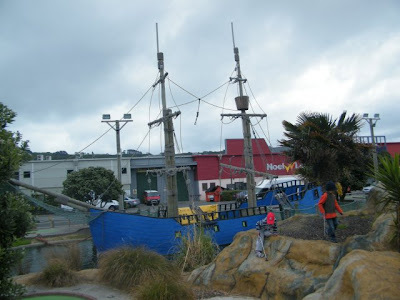 My son was invited to a birthday party held at LaserForce in Wellington. We went together with friends Darryl and his son Russell. 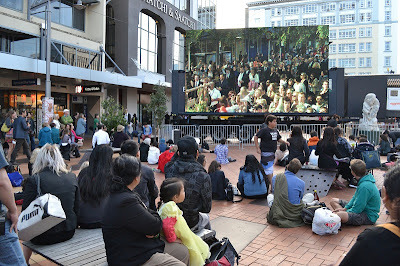 I have been to the area a number of times, but was surprised to find that this entertainment area was actually there. It occupies the lower ground floor of the building so it was not that obvious. Going to that place reminded me of the Fun House back in the 80s in my hometown. It just had that atmosphere. I guess the pinball machines located right next the entrance helped create this impression. More mini golf fun! Check out their cool website for pricing and hours. Close friends know I have an aversion to golf. It's not because I do not like the game, but it's more of my personal experience with it. You see, a company I worked for in the past would hold an annual golf tournament. It so happened that I was in the thick of these things (being the Marketing guy) all the time. I did not mind being very busy, it's just that the event never fails to fall on the week of my birthday! At times, even on my birthday itself! Pleasing a few of the customers wasn't a walk in the park either. They are a nice lot, mind you, but there's a handful who are just too demanding and too full of themselves to realize it's a gentleman's game, and they're not supposed to be there at all. I rest my case. Anyway, this is a different golf altogether. It's the golf that I had fun with many years ago back at Camp John Hay in the Philippines. And it's a game we enjoyed immensely at Pirate's Cove. 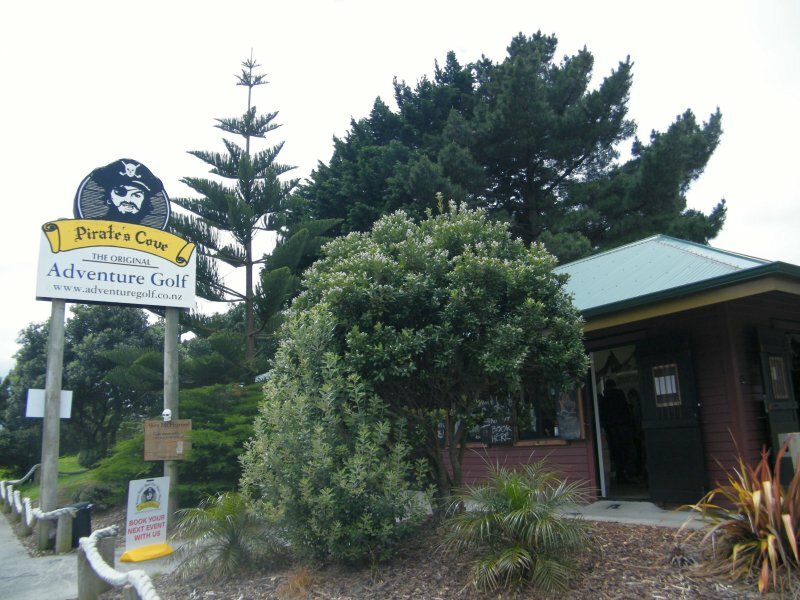 An adventure Golf! (or mini golf, as I know it back in the day). On Sunday 4 March 2012 Wellington Zoo is celebrating Children’s Day with $1 entry for all kids 14 and under! I remember the time when the Prequel Episodes came out. I was too young to have any buying power when Star Wars came out in 1977 and the early 80s after that, so I really missed out on the excitement of owning action figures and such. So the Special Editions were sort of a second chance for me to enjoy my Star Wars moment. I had a Star Wars week here in my blog, and purchased some action figures. Not really a lot, but just a Darth Vader, Admiral Ackbar, a couple of Legos, and more Artoos than I intended. It was great fun. So what would you expect if Star Wars came out on the big screen once more? It's back to the theatres! And this time, with my son Jo-Lo. It's time he learned the ways of the Force. So what is my reaction to Star Wars Episode 1 on 3D? Newly-designated ambassadors of Greece and New Zealand to the Philippines, H.E. Constantina Koliou and H.E. Reuben Anthony Joannes Levermore, respectively, presented their credentials to President Benigno S. Aquino III in Malacañang. Together with them are Foreign Affairs Secretary Alberto del Rosario and Chief Presidential Protocol Ambassador Jose Miguel Perez-Rubio. H E Ambassador Levermore is wearing a traditional Maori korowai, worn as a mantle of prestige and honour*. If there's one thing I miss from the Philippines, it's the sitcoms. Hilarious! The closest thing we have here in New Zealand, I think, is the Naked Samoans and the Laughing Samoans, which are theatre acts. We were just watching some YouTube videos and I read somewhere that you can find almost anything in it. So I searched for some obscure stuff such as the 70s anime Candy Candy and some 70s Philippine TV commercials. Voila. Found some. And then I remembered Tropang Trumpo, one of my favourite 90s TV shows ever. And look what I found! What a trip down memory lane. We have a number of flowering bush and plants around the house, and the blooming Pohutukawa tree accentuated the spring/summer atmosphere. It certainly is such a spectacle, it's bound to get noticed. Especially the busy bees! The first time I saw the bees here in 2008, I was in awe. And I still feel fascinated with them whenever they turn up as the flowers enjoy the sun. It's because they're bigger than the ones I am accustomed to in the Philippines, and they have a distinct black and yellow colour. 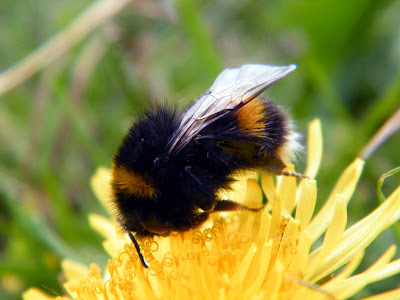 It's quite interesting to watch them buzz from one flower to another, a relaxing moment on sunny weekend afternoons. The fun started last Friday, with loads of people walking all around the city in costume. Very festive indeed. I think the Sevens is more than rugby, at least in this part of the world. People get to dress up and walk the streets. Sort of Halloween, but for grown-ups. 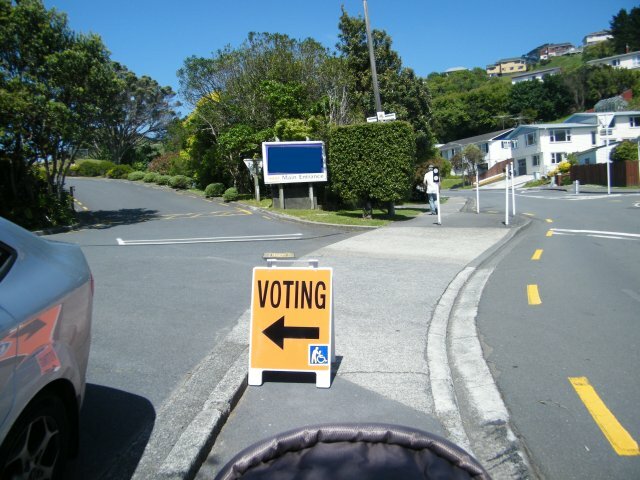 One of the significant things we did last year as residents of New Zealand was to vote. I think it is monumental by itself because we were thus recognized as part of the community, and that we have been given the opportunity to have a voice in the 2011 elections. Of course, one cannot help but to compare the campaign and voting process with his native country. A beautiful sight greeted me one fine weekend morning. 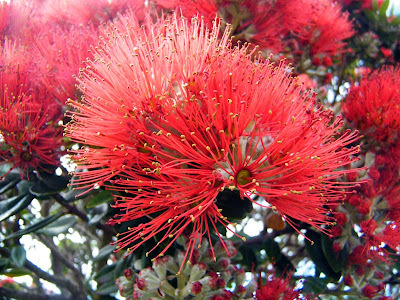 The Pohutukawa tree in front of the house has finally bloomed! In the last couple of years that we have been here, the Pohutukawa had given some slight indications that it will bloom, but it never did. So it was indeed a pleasant surprise that it finally decided to! 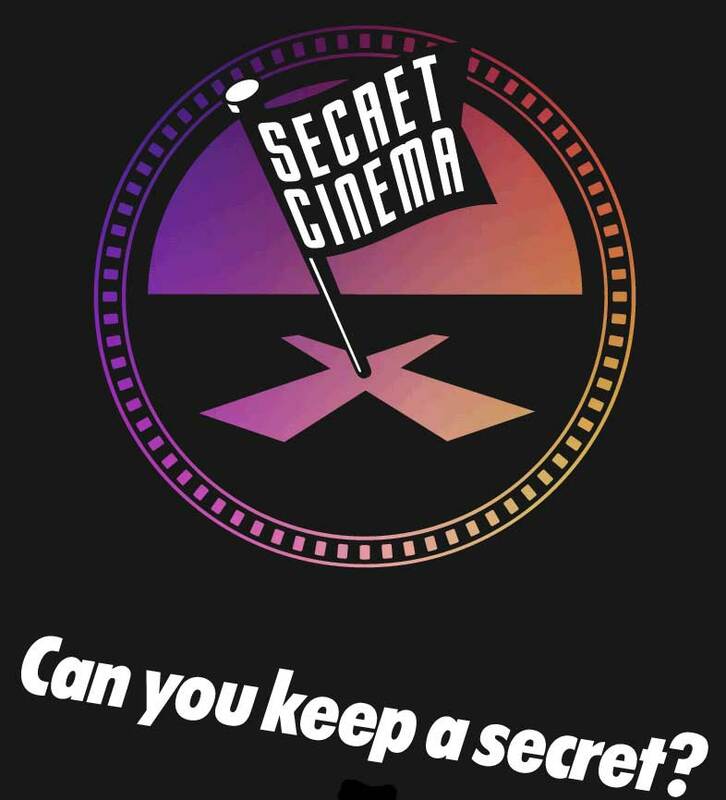 The Secret Cinema is for people who love watching movies, anywhere except in the cinema. You get notified on where a screening will happen, and it's free (most of the time). What an interesting concept! I've signed up. 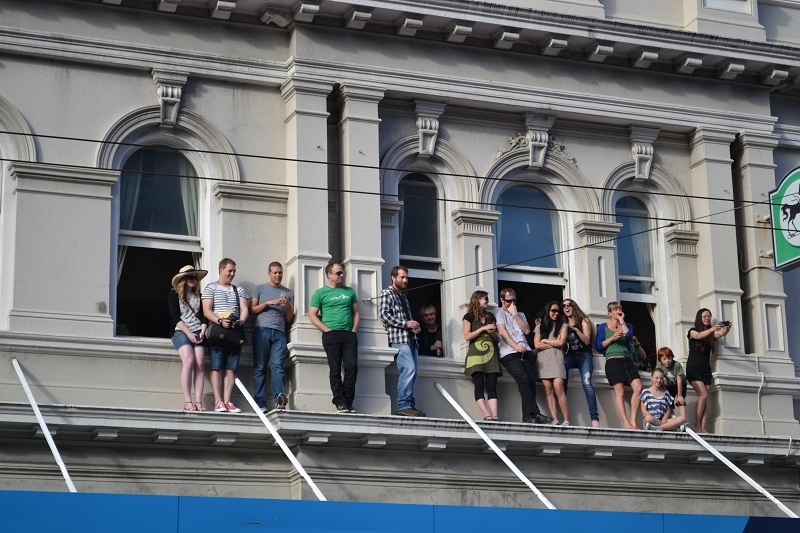 Friends in Wellington, wouldn't you sign up too? 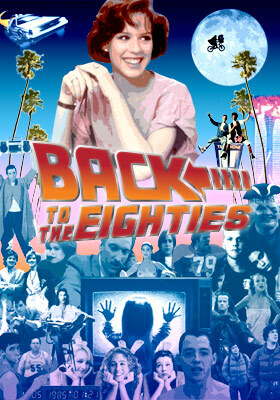 80s movies are in the offing! 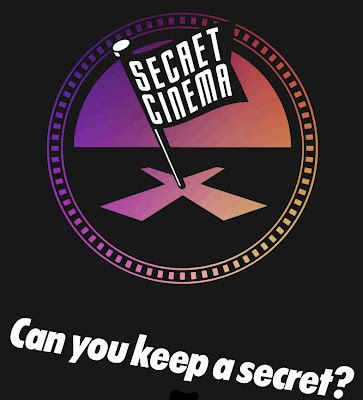 Learn more and register at the Secret Cinema website. I've always said I'm a big Star Wars fan. Well, maybe not so big anymore because I am a fan of Episodes 4-6, not so much of 1-3. But still, I'm so going to watch this with my son! Opening 9th February in New Zealand! The Philippine government has declared the 2012 Philippine holidays. It is actually an event in itself because such an announcement is met with much anticipation. Who wouldn't, with the Philippines having more long weekends than most other countries? Actually I personally think it balances out in the end, because I lead an interesting yet hectic work life in Manila. Try staying in the office late nights the entire week, and add Saturday morning work and you'd surely look forward to your long weekends. When I phoned my Nanay in the Philippines last 31 December to greet them a Happy New Year, the first advice she gave us was not to serve chicken that night and on New Year's Day. Why? Because of the nature of the chicken which is "kahig-tuka" (literally scratch and peck) - which, in the Filipino allegory, symbolizes poverty. So we should not serve chicken to avoid being "kahig-tuka" for the entire 2012. So we did as advised. Interestingly enough, when we visited friends the following day their mother also said the same thing about serving chicken on that auspicious day. This led to an animated discussion about many businesses losing money on those two days (KFC and the many lechon manok and chicken inasal establishments in the Philippines). 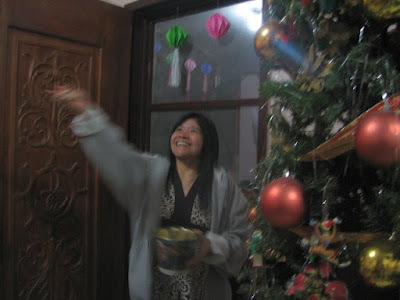 I became increasingly aware - especially now that we are not in the Philippines - of the many traditions that we have for New Year's celebrations. One look at Facebook and I see a number of these being actively practiced - and enjoyed! The red theme and round fruits are especially prolific.